Whether you have an American RV motorhome or you have imported a European motorhome, or even if you have bought a model that is only available in LHD, you might find getting it insured is a major hassle. Most mainstream insurance companies simply don't have the experience to accurately understand LHDs. Their knee-jerk reaction is to hike LHD motorhome insurance premiums significantly compared with the equivalent right hand drive models. As a specialist broker, we have more than 40 years experience arranging American motorhome insurance and cover for other European motorhome LHD imports. That experience means we can offer LHD motorhome insurance at a fair, and surprisingly competitive rate. All of our cheap motorhome insurance policies include a free Green Card for European travel, with some schemes even allowing motorhome trips of up to 365 days at a time. Specialist schemes - covering American & high-end European motorhome insurance. We can offer affordable policies for the high quality and larger vehicles that our competitors shy away from. So if you have a Burstner, Winnebago, Lord Munsterland, Roma, Adria, Hobby, Hymer or other specialist vehicle, please give us a call. Owner's Club Insurance Discounts - If you belong to a recognised owners club or enthusiasts' forum, you can qualify for an insurance discount of up to 15%, depending on the policy you choose. 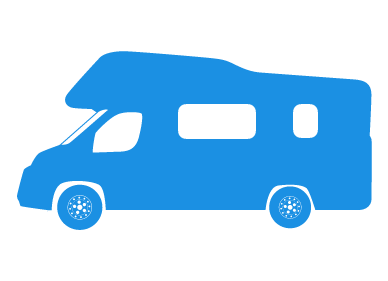 Temporary motorhome insurance - we can provide short term motorhome insurance if you are borrowing the vehicle for a trip. Our sales staff are insurance experts, not just button pushers, and, along with our tailor made schemes, we believe we offer the best annual motorhome insurance and temporary motorhome insurance service available. Quicker & Cheaper rates by phone, please complete the call me form during office hours 9am to 7pm Monday to Friday & 9am to 4pm Saturday for an immediate left-hand drive insurance quote.